He went from bankruptcies to a big investment. How? A popular Phila. partner was one of his victims. Why? 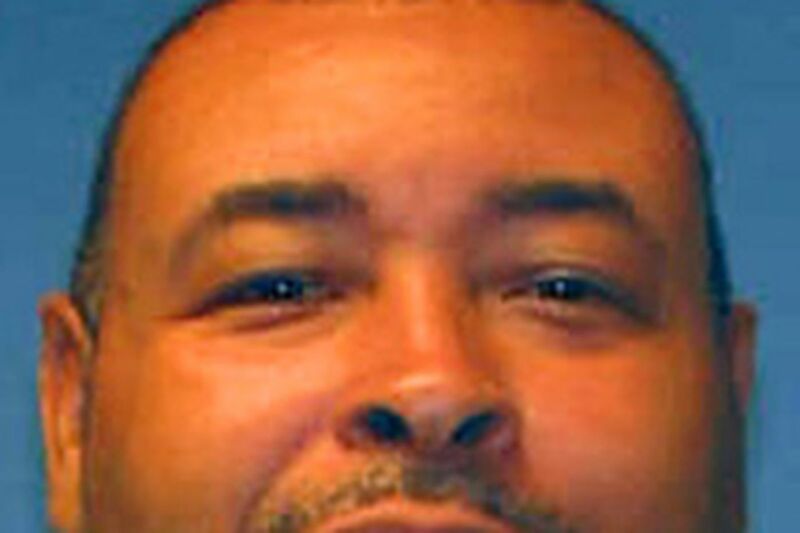 Vincent J. Dortch: More of his past is detailed. Two bankruptcies. Liens. A black Lexus in the driveway, but a living scratched out riding freight trains. At 44, Vincent J. Dortch had displayed little evidence of financial wizardry. Yet somehow he came up with $200,000 to invest in a New York real estate venture. Ultimately, that money meant more than life to him. Fearing his partners were cheating him, Dortch exploded - killing three and then himself - in a bloody investors meeting Monday night at Philadelphia's Navy Yard. Police remain befuddled, both by the origin of Dortch's cash and by his angst over losing it. Detectives hope his widow, Stephanie, will have answers when they speak this week. "Was it his money? Was it her money? Was it their money at all?" pondered homicide Sgt. Ron McClane. "If you have that kind of money to lose, it's not that bad. But if you don't . . . that's when you go crazy." Described repeatedly as polite and meticulous, Dortch fired on a meeting he had arranged of investors in Watson International Inc. In January 2006, the new corporation had bought a historic country club formerly owned by IBM in New York for $1.3 million. Six months later, flooding ravaged the group's fledgling plans to convert the property into a banquet and conference center. Insurance money was forthcoming, but Dortch, of Newark, Del., suspected his partners were skimming money for personal use. Federal authorities have been asked to investigate. Meanwhile, two families prepared to bury three loved ones who grew up together in Endicott, N.Y.
Saturday services were held in Bear, Del., for brothers Robert E. Norris, 41, of Newark, Del., and Mark David Norris, 46, of Pilesgrove, N.J. Services for James M. Reif Jr., 42, of Endicott, N.Y., were scheduled for tomorrow in Endicott. While arrangements for Dortch were not announced, a more complete picture of the gunman began to emerge. Monica Douglas was 17 in 1993 when her mother, Diann, married "Vinnie," the man she had met in a club in Brooklyn, N.Y. The bride was 42, a widowed mother of two. The groom, 30, had three children who lived apart from him. When Dortch moved in, he brought only trash bags filled with clothes, said Douglas, 31. "He came into my mom's life with nothing and left with a lot," said Douglas' sister, Erika Roulhac, 35. As a teen, Douglas clashed with her new stepfather, with her late hours and deafness to rules running afoul of him. "He put me out of my mother's house," said Douglas, who ended up staying with a friend and never returning. Their extended family also didn't take to Dortch, the daughters said. Still, "I respected the fact he kept a smile on my mom's face," Roulhac said. He brought her flowers, and would "not only talk but listen" to her. The two dreamed often of future business ventures, she said. Yet a year into the marriage, Dortch filed for bankruptcy. "There wasn't any huge debt; he was out of money," said retired lawyer Frederick Bierer, who represented him. Dortch, he said, had lost his job, exhausted his savings, and owed $29,000, mostly on credit cards. Bierer recalled the 6-foot-4, 250-pound Dortch as "a very good-looking, very articulate, very mild-mannered guy who looked like he could be a linebacker." When Diann Dortch died of breast cancer in 2000, her daughters said, Vincent Dortch inherited a car, a house, an insurance payout of unknown value, and a cleaning business their mother had started. A year later, he had a new wife - and another short-lived bankruptcy. Dortch married Stephanie Jordan, eight years his senior, in 2001. Roulhac said he had told her family that he had begun a truck-driving business. The couple settled in Newark and attended a Jehovah's Witness congregation in Maryland, their minister told the Wilmington News Journal last week. At some point, he met Robert Norris, a New Castle County police officer, and worked with him rehabbing homes, said a Norris family friend who asked not to be identified. Police confirmed that Robert Norris was Dortch's connection to Watson International. Watson incorporated in October 2005. The initial directors were former high school classmates Robert Norris and Reif, who had stayed in the Endicott area as a deputy sheriff. But Dortch was at the table in January 2006 when a group of investors met in New York to discuss their new acquisition, architect Ken Gay recalled. Also present were Robert Norris' brother Mark, a charismatic entrepreneur well-known in Philadelphia, and Vasantha Dammavalam of Flushing, N.Y., a vice president with Mark Norris' marketing firm. Mark Norris, in whose office the shootings occurred, was as energetic as Dortch was placid. Described by friends as stylish and brilliant, Norris claimed that ZigZag, his marketing business, had billings of $2.5 million in 2004. But there were signs of financial struggle as well. In May 2005, Pennsylvania placed a $16,687 lien against ZigZag for payments and penalties due the state's unemployment compensation fund. A lien for $179,562 in back federal taxes was filed in August 2005. In March 2005, Norris was sued by his former Pine Street condominium association over $16,444 in fees. "He lived on the fourth floor with an elevator that never worked," said a friend, Center City lawyer Stuart Davidson. "The buzzer never worked. Is that a justification for not paying his condo fee? It might be." In August 2003, the mortgage holder on a building Norris owned on South Broad Street foreclosed; there had been no payments for two years. A sheriff's sale was scheduled. There were other woes, but "none of this informs what happened at the Navy Yard," Davidson said. "The Mark Norris I knew was a man of extraordinary passion who cared deeply about children. I saw him, on a whim, buy 30 movie tickets for kids he thought needed help." When payroll at his agency was lean, "he pulled it out of his own pocket," Davidson said. In December, Norris bought furniture, gifts, a television and a Christmas tree for a family with children that had been evicted from its home, said Richard L. Chapman, director of Juvenile Justice Center Family Services of Philadelphia. At the investors meeting in January 2006, Norris and Dortch had a dream in common. "They were talking about possibly a hotel and a large conference center," said Gay, whose firm was hired to do a feasibility study. "We were just there to listen to what their dreams were. None of them seemed far-fetched to me." Dortch, he said, was friendly and quiet. Gay did not know how the partners had met or what each had invested. By the time the floods hit in late June, no building or demolition permits had been acquired to begin the work, said Joseph Moody, economic development for the Town of Union, N.Y., near Endicott. The group's paperwork also was lagging. Delaware corporate records show that Watson International never filed its annual report, due March 1, 2006, and still owes taxes from its first year. A second annual report is due in two weeks. In October, Dortch signed on as a trainee rail conductor for CSX Corp. And as he rode long hours on the freight rails, his investment dreams were dying, replaced by suspicion. On Jan. 20, police say, Dortch bought two handguns in Delaware. Ten days later, he made calls from the train, trying to set up an investors meeting. "He had a feeling these guys were committing fraud," said Mark Chalupa, a veteran conductor who was Dortch's trainer on Jan. 30. Monday evening, on the pretense of bringing in a new investor, Dortch arrived at the conference room of ZigZag. Two brothers are recalled for their creativity and generosity. A14. How a firm fights to survive the tragedy. Business, C1.